We had a blast during National Translation Month! Stay tuned for more translation news, collaborations, and publishing opportunities we’ll continue to post throughout the year, as we continue to grow our project across the country. Here are the parting shots: four Hungarian poets translated by Paul Sohar—three from the 20th century and one from the late 18th century, a true Romantic. Until next year, read, write, and share your favorite translations. The world lies open—take time to explore it. I would like to feature Sándor Kányádi center stage; he is still alive and actively spreading the love of poetry wherever he’s invited. He was born and spent much of his life in the Hungarian community of Transylvania, Romania. He saw the survival of his ethnic minority in building bridges with the Romanian majority through their poets; he did not only translate them but wrote memorial poems to them. One of them is in this batch, in addition to a poem dedicated to the Romanian sculptor Constantin Brancusi. The other poems demonstrate Kányádi’s eclectic style. These poems are not in my new Kányádi volume “In Contemporary Tense” published last year in Romania and the US (Iniquity Press); they got left out for technical reasons. Going back in time, the second poet, Lőrinc Szabó, lived a generation earlier, while Endre Ady ushered in modern Hungarian poetry at the beginning of the 20th century. Mihály Csokonai Vitéz takes us back to the rococo age with his unabashed and amply-demonstrated sentiments. they too stopped and listened in respectful silence. things, mostly to his beard. his merchandise, only playing his flute as he walked. he too recalled it from his childhood. just because the streets are always changing. before slipping the musical instrument in a pocket. decorating a platter and humming a tune to herself. megálltak ők is, tisztelettel és hallgatag. ő is ismerte, még gyermekkorából. ha már az utcák úgyis váltakoznak. majd zsebre tette a zeneszerszámot. papírt csipkéz a tálasra és dúdolgat önfeledten. Megállt és botjával cikcakkokat rajzolt a porba. of Keeping Quiet – that’s where the chairs will be waiting. partjára, a Hallgatás asztalához – ott várnak a székek. he’d walk with a steady beat. but sit down with us on a bench. he’d watch the moon rise at his ease. and wait for earth to circle him. now the sun is saying its goodbye. with nightfall – and then that’s it! dusk in me as long as I live. Its naïve little partner, hope! into your grave; into himself he disappears. for no other parts of her remain. My cries are almighty cries. Death, failure, crash, curses and sigh. When I cry out with a painful cry. Torture to those I love too well. In laurels even deep in hell. this surrender, this goodness again and again. kick me out, send me off into the night. and trample on me, laugh at my desire. the present even at its best is a curse. on the scented cushions of the past. separation as your beauty’s guard. and remains forever my love supreme. And green winks beneath retreating snow. With Spring farther and farther off. May we not get there together all of us? has been drinking silver lava flow. for something in feverish glow. and drives the waves to crest. Its crimson wings are flapping hard. Then stops. It’s waiting at rest. From where? What’s its load? Heading here? Coming: a new force to lead the way? How crimson is speed of its wings! or blood, more blood, ready to start? it stands still, the huge crimson cart. I’ll die and nothing, nothing else. to hear about it from the knells. those two will surely cry for me. with wilted curses and bouquets. and the ill in release. I love the world as it is. Will tease us just to disappear. Why lure me with smooth lips? Why keep smiling my way? Of spirit in this tired clay? Get going! You’re a curse! My waking blinks and hours. With whom they longed to be. Who cares to whom it goes! Leave me, hope, alone and still! And my body the grave. The sun sinks into night. To you all, I say goodbye! Sándor Kányádi was born and educated in Hungarian community of Transylvania, Romania, to become the best-known Hungarian poet, has been translated into most European languages, and Sohar is doing his best to introduce him to the English-speaking world. In addition to “Dancing Embers”, a volume of his selected Kányádi translations, (Twisted Spoon Press, 2002), now much larger, nearly comprehensive selection is available: “In Contemporary Tense” (Iniquity Press, USA, 2013). Lőrinc Szabó (1900-1957) worked for newspapers and periodicals but was best known for his exquisite translations of European poetry. 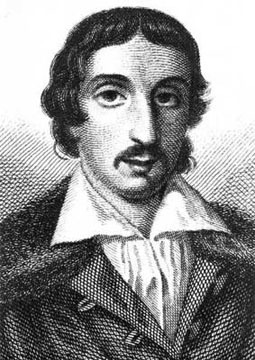 In his own poems he was eclectic in form but very up-to-date in his language; like most Hungarian poets, he was equally at ease in formal poetry and free verse. He was able to sustain a breathless momentum in both. Never a dull moment. After WW II he lost his job and derived a meager income from translation work. Thus “There’s No Money”. 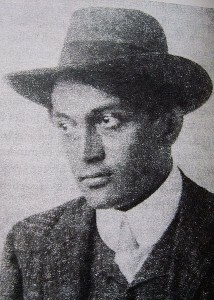 Endre Ady (1877-1919) was born in Hungary of the old Hapsburg Monarchy and died during its collapse in the wake of WW I. Disrupting his higher education in law he became a journalist and a poet. His third volume of poem (“New Poems”, 1906) revolutionized Hungarian poetry, both in style and content; he advocated progress and castigated jingoistic nationalism. 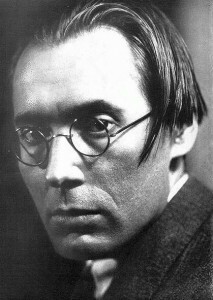 He was critical of WW I from the beginning; the last poetry volume in his life was “Leading the Dead” (1918). While his symbolist style was unique to his own works, it did open the way to experimentation in Hungarian poetry. Mihály Csokonai Vitéz (1773-1803) was a child prodigy like Szabo, he obtained a professorship at the age of 22, but he soon lost it due to what was deemed immoral conduct. 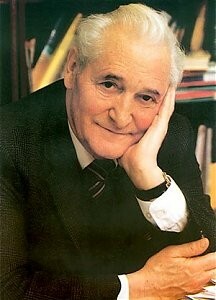 He spent the rest of his short life as a tutor in aristocratic households. His collected works were first published forty years after his premature death, but still in the Age of Romanticism. Paul Sohar made his way to the US as a teenage refugee from Hungary. After receiving a B.A. he took a lab job in a research lab while writing in every genre, publishing seven volumes of translations, including “Silver Pirouettes” (Faludy translations, TheWriteDeal 2012) and “In Contemporary Tense” (Iniquity Press, 2013). 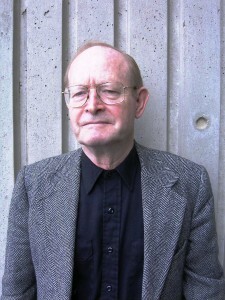 His own poetry: “Homing Poems” (Iniquity, 2006) and “The Wayward Orchard”, a Wordrunner Prize winner (2011). Other awards: first prize in the 2012 Lincoln Poets Society Contest, second prize in RI Writers Circle 2014 Contest. Prose work: “True Tales of a Fictitious Spy” (Synergebooks, 2006). He lectures at MLA and RMMLA conferences and at Centenary College, NJ. Magazine credits: Agni, Gargoyle, Kenyon Review, Rattle, Poetry Salzburg Review, Seneca Review, etc. need I get permission to print one of these poems in a nonprofit booklet for a synagogue memorial service? It’s the Nothing Else poem.